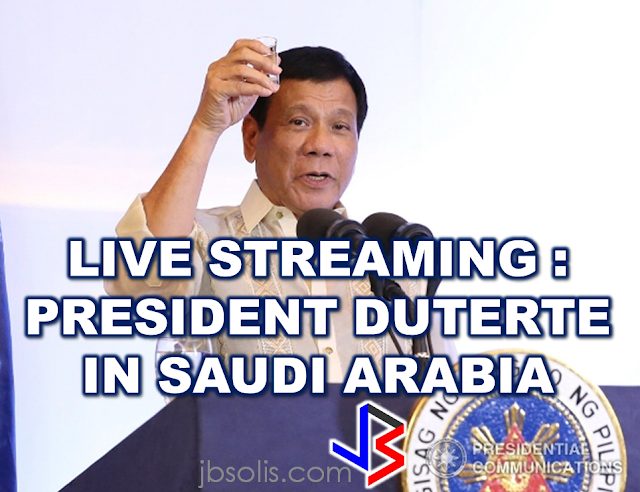 President Rodrigo Roa Duterte's recently concluded his state visit to the Kingdom of Saudi Arabia. 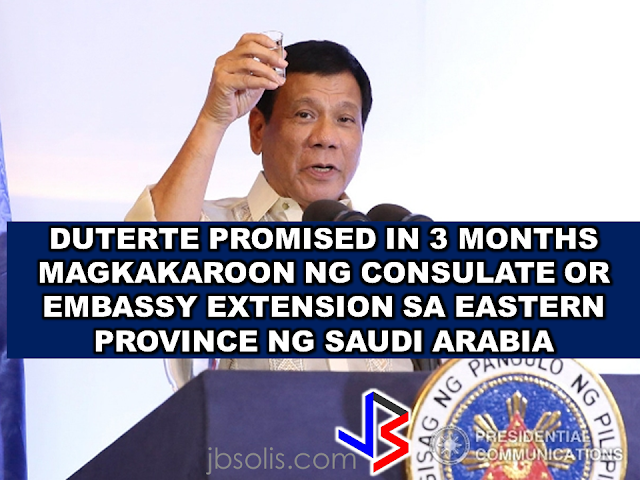 It was a huge hit among locals and the huge number of OFW expatriates in the Kingdom. He was first welcomed by Prince Faisal bin Bandar Al Saud, Governor of Riyadh. 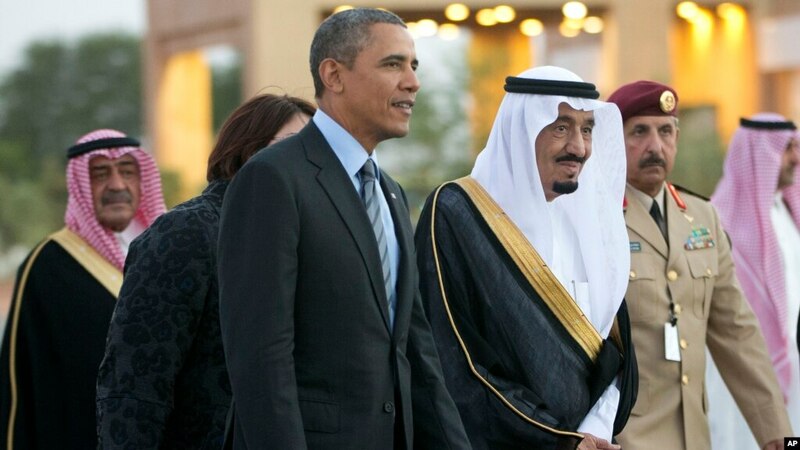 The President was housed at the King Saud Royal Guest Palace. 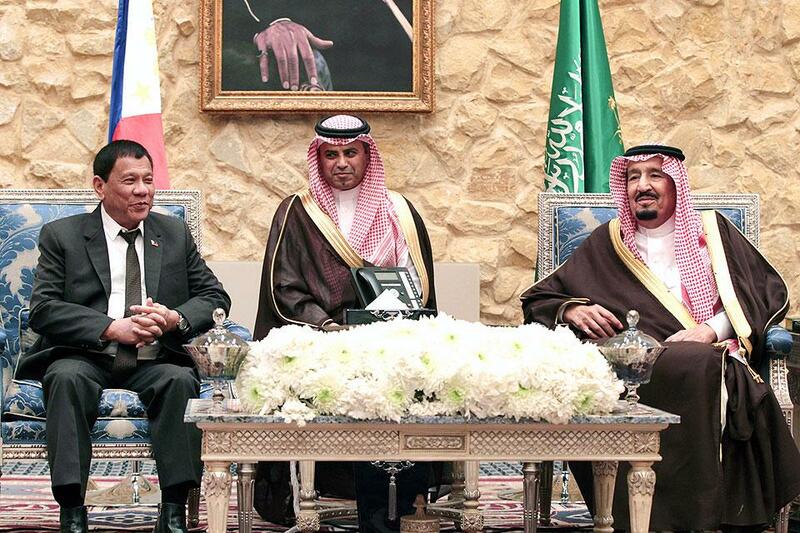 The next day, King Salman bin Abdulaziz Al Saud himself welcomed President Duterte. As seen in the video above, many are left wondering where is this place where the two leaders met. It does not seem to be in the capital city of Riyadh. Actually, that place is called Rawdat Khuraim (also known as the King's Forest). It is a green oasis, about 100 kilometers outside the capital city of this desert kingdom. Rawdat is arabic for "garden" or "meadow". Rawdat Khuraim is the green patch on the upper right corner of this Google Maps screenshot. This protected nature park and animal sanctuary is the favorite place for members of the Royal Family and the public to visit, especially during winter or spring time. Yes, Saudi Arabia experiences winter too. The wildlife park was formally inaugurated in 2005 by King Abdullah, who was still a Crown Prince then. The nature park is even popular among expats. It is a favorite camping place among Riyadh residents, and even for people coming from farther cities like Dammam and Khobar visit this place during holidays. Watch this short exploration video below. When visiting this oasis, you have to be well prepared. The place is HUGE and you are not allowed to go around in your car or SUV. The whole park is fenced around. Visitors usually park near the fence and walk into the park. The farther away you go into the park, the greener it gets. A local tourist walks from a camp towards his car beyond the fence. Cars are not allowed inside. Many species of grass and other green plants are abundant, especially after the rainy season. The park itself is divided into three areas. Two-thirds of the park is off-limits to the public. One-third of the park is for the Royal Family. Unbeknownst to many visitors, the Royal Family keeps a residence (more like a palace) within the premises. 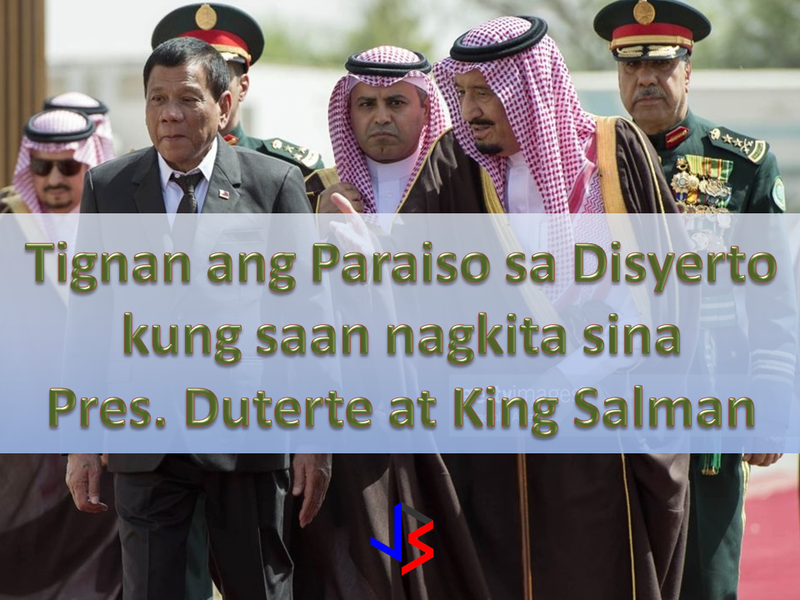 It is at this Royal Palace where King Salman hosted President Duterte with a state lunch. 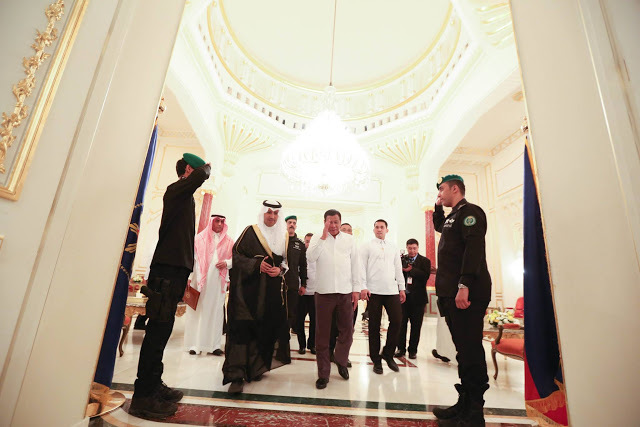 President Duterte and King Salman in the king's private residence within Rawdat Khuraim. A third of the Rawdat Khuraim is designated as an animal sanctuary. It is off limits to everyone except the caretakers. Access to this area requires special permits. It is here where animals are free to roam around without being disturbed. The area serves as a sanctuary for various rare species such as gazelles and a plethora of other wildlife creatures not found anywhere else. 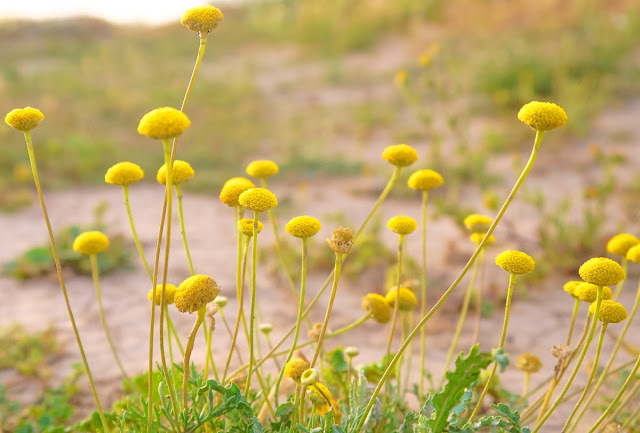 Universities in Riyadh and the surrounding areas often conduct research studies in the park due to the diversity of insects, flora and fauna which can be found there. Enjoy some pictures below, including a stunning panoramic view that you can control! Flowers are everywhere in this oasis. At the right time, they blanket the meadow with their colors. As animal sanctuary, the silence of the park is broken by the chirping of birds of different species. 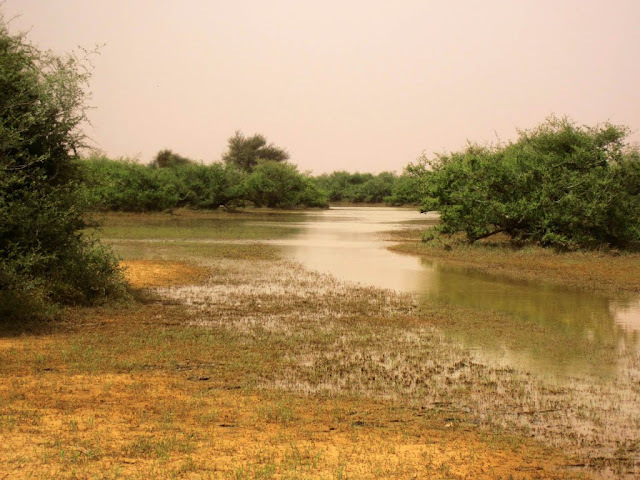 After rain, some areas of the park turn into streams, providing water to the plants and animals. Sometimes, you will find camels grazing in the surrounding areas. Flowers cover the entire ground, a stunning natural carpet. Located just at the edge of the desert, you can see sand dunes from the park. Spring time in Rawdat Khuraim. It's a sight to behold. And more flowers and lush greenery. A modern Bedouin tent amongst the flowers. You can light a bonfire, but you must bring your own firewood. Cutting trees are not allowed. You can also visit this and this beautiful panoramic images of Rawdat Khuraim. While the Saudis typically receive world leaders and VIPs on a regular basis, the Saudi Royal Family reserves Rawdat Khuraim for their most important guests. Former leaders received at the King's Forest include US Presidents George W. Bush and Barrack Obama.